It’s no secret that smoking is bad for you. The evidence has been around for decades, as has the list of life altering/ending diseases associated with it: throat cancer, mouth cancer, bladder cancer, lung cancer, chronic bronchitis, emphysema and heart disease, to name just a few. The good news is the number of Brits who smoke has been steadily falling since the mid-1970s, from 45.6% of the population in 1974 to 16.1% in 2016. Government intervention to further encourage that trend has come in the form of health awareness campaigns and, more recently, legislation. Scotland led the charge with a ban on smoking in all public spaces and workplaces in 2006, followed by Wales, Northern Ireland and England in 2007. Last year, strict rules around cigarette packaging came into force as part of an EU-wide effort to cut the number of smokers by 2.4million. But smoking is still an issue. Around half of all regular cigarette smokers will eventually be killed by their addiction and around 96,000 people in the UK will die every year from diseases caused by smoking. The human cost is vast and one that should be considered by all members of society, while employers may also want to consider the financial burden that smoking can have on their bottom line. Cigarette breaks cost employers £1,815 a year for each full-time member of staff who lights up during working hours. And every year smokers take up to 70% more sick leave than non-smokers. This, according to a study for the British Heart Foundation, carried out by the Centre for Economics and Business Research, takes the total cost to British business to a hefty £8.7billion a year. While Scotland blazed a trail in the UK in terms of anti-smoking legislation, the negative impact on its finances remain sizeable. According to ASH Scotland, the NHS spends £271million per year on smoking-attributable disease while productivity losses due to excess absenteeism, smoking breaks and lost output due to premature death, costs £692million per year. Indeed the charity says that smoking costs, conservatively, around £1.1billion in Scotland each year. It’s clear that outlawing smoking in public spaces and workplaces is a step in the right direction but more can be done. And employers are in a strong position to support this particular health agenda because, put simply, a no-smoking working environment encourages people who smoke to quit. Employer support can be offered in many ways: advice from a health professional; the provision of self-help guides to giving up smoking; free or subsidised nicotine-replacement therapy (NRT) such as gum or patches, as is available on most offshore installations; or employees could be offered paid time off to attend relevant courses. More recently, the Tobacco Advisory Group of the Royal College of Physicians supported the use of e-cigarettes as an aid to stopping smoking. It estimates that the hazard to health from long-term vapour inhalation from the e-cigarettes available today is unlikely to exceed 5% of the harm from smoking tobacco. However, this was caveated by the fact that e-cigarettes are not currently made to medicines standards and are probably more hazardous than NRT. And of course, workplace smoking cessation programmes can be a powerful tool in an employer’s armoury in the battle against smoking. The advantages of a workplace setting are the ability to reach large numbers of people, including groups who may not usually consult health professionals, such as young men, as well as the potential to provide peer group support. 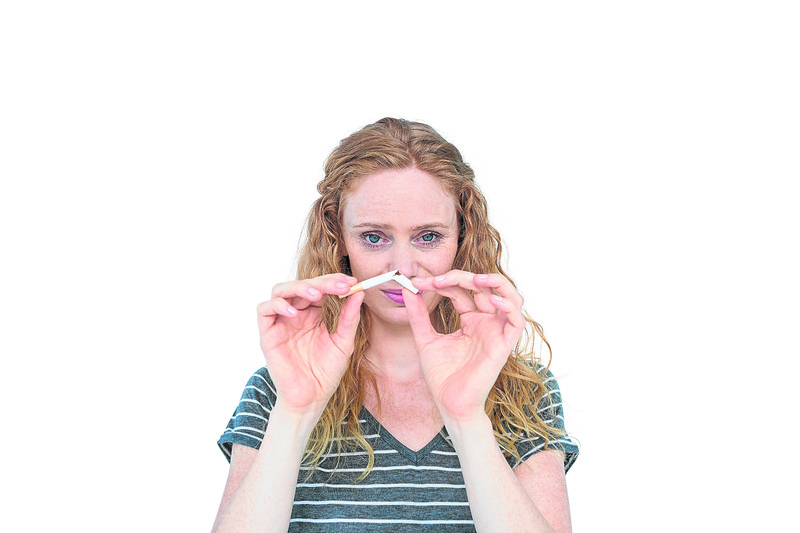 Huge strides have been taken to reduce the harmful impact of smoking on individuals and the world in which we live. But there is plenty more to do and employers of all sizes and sectors are well positioned to do just that.